He was a great character actor with a gruff exterior who played some great tough guys, both good and bad, most times with a soft side. The first time I saw Robert Loggia, he was telling Richard Gere to take a good look in the mirror in “An Officer and a Gentleman”, then he was a tough private eye in “The Jagged Edge”. The last time I saw him in a role that really stands out was more than a decade later when he was the head of the American military doing battle with alien invaders in “Independence Day”. I was sad to hear awhile back that Robert Loggia had died at the age of 78.
character Zac Mayo, in 1982's "An Officer and a Gentleman". Here he is about to tell Zac to take a look at himself in the mirror. 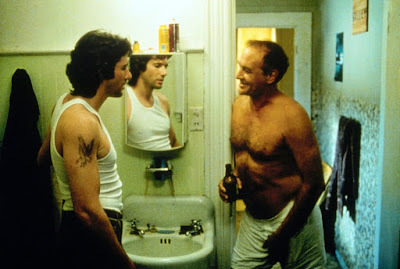 The first time I recall seeing Robert Loggia was when he was shirtless, hitting a mirror with the back of his hand telling Richard Gere to take a look at himself. The movie was 1982’s “An Officer and a Gentleman” and Loggia was playing Byron Mayo, father of Zac Mayo, played by Gere. The movie focused on a drifter who dreams of flying jets, and he finally does. It was Gere’s breakout role, and another feather in Loggia’s cap. I saw the commercial for “An Officer and a Gentleman” on the two pay TV channels of the 1980s in Canada – Super Channel and First Choice. Every time I visited my buddy Mike Hartman, who had cable, I saw that commercial of Loggia giving crap to Gere. It was burned in my mind. I eventually saw the movie when my brother taped it off pay TV and lent me the tape. But don't tell anyone he did that, okay. It turns out Robert Loggia had a resumé dating back to the 1950s and the soap opera “Search for Tomorrow”. For the next three decades, he seemed to play guest roles in a wide variety of shows, until 1982 when “An Officer and a Gentleman” came along. After “An Officer and a Gentleman”, he continued to play supporting characters in TV with “Little House on the Prairie” and “Falcon Crest”, where he was the first actor to play Tony Cumson on the night-time soap opera, a role also played by John Saxon. He was also in movies with “Trail of the Pink Panther”, “Psycho II”, “Curse of the Pink Panther” and “Scarface”. Finally, he earned his first recurring role in network series TV, playing Yuri Bukharin, a Soviet spy in the night-time drama, “Emerald Point, N.A.S.” That was a good show with a lot of potential, and an all-star cast, but it just could not make it. 1985 thriller "The Jagged Edge", with star Glenn Close. “The Jagged Edge”, released in 1985, was another movie I had seen a lot of commercials for, and was immediately interested in. It starred Jeff Bridges as a man accused of murder, and Glenn Close, who is the lawyer hired to defend him. It was this great psychological thriller. Loggia played private detective Sam Ransom who aids Close in her defence of Bridges. For his efforts, Loggia would be nominated for an Oscar for Best Supporting Actor. I never did see it in the theatre, but at another interesting time in my life. It was the summer of 1986 and I was taking driver’s education in Lethbridge, staying at my sister’s place during the day. She was working, so I watched TV, walked down to the Lethbridge Public Library, and rented movies from the 7-11 on Third Avenue. One of those movies was, “The Jagged Edge”. Others were “Prizzi’s Honor” and “On the Edge”. Coincidentally, Loggia also had a role in “Prizzi’s Honor”. That was another great movie, taking a satiric look at organized crime and starring Jack Nicholson and Kathleen Turner. Loggia played one of the sons of the head of the Prizzi crime family, who ran the crime empire. Robert Loggia closed out the decade with a lot of roles in film and TV. Movies he was in, that I saw, were “Armed and Dangerous” in 1986 and “Big” in 1988. The TV guest roles just kept on coming – “Murder, She Wrote”; “Alfred Hitchcock Presents”; “Magnum P.I.” – and he got a lead role in a series right at the end of the decade with “Mancuso, FBI” for 20 episodes in 1989-1990. He had pioneered the role in the 1988 TV mini-series “Favorite Son”. Loggia would keep on working for another 30 years. Two more roles I really enjoyed were as a football coach in the football movie “Necessary Roughness” in 1991, and the head of the United States military in 1996’s “Independence Day”. As Coach Wally Rig in “Necessary Roughness”, he spoofs the intense, gruff football coach, playing him over the top to comedic effect. As General William Grey in “Independence Day”, he is tough but serious and sensitive. 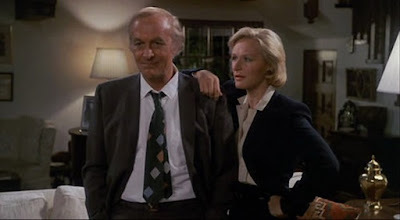 The final role I remember, is a brief summer series he starred in called, “Sunday Dinner”, where he played an older man in a serious relationship with a younger woman who takes her to family dinner every Sunday night. It aired on Sunday nights and was written by Norman Lear, creator of “All in the Family”. The network even paired it with the first season episodes of “All in the Family” they re-ran to garner interest. What “Sunday Dinner” is most known for is that it gave newcomer Teri Hatcher her first starring role. Two years later she would have her breakout role as Lois Lane, in "The New Adventures of Superman". "Sunday Dinner" only lasted six episodes. 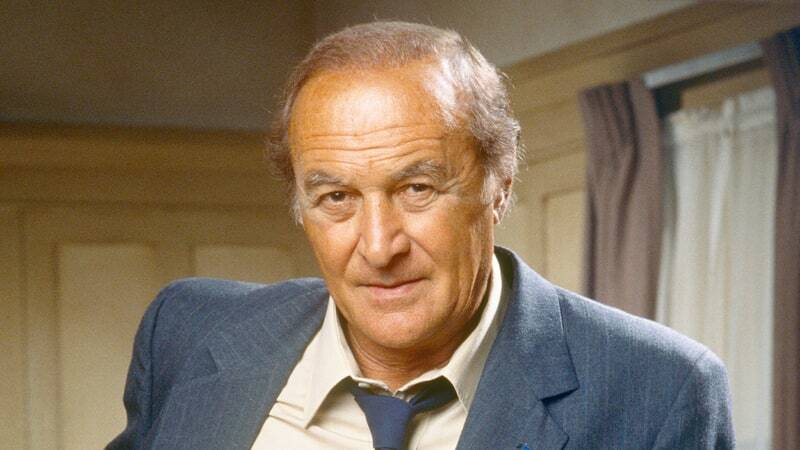 Robert Loggia was a great character actor, who was best known for gruff, serious roles. Yet he could bring a sensitivity as well. The best roles, by far, were his turns in "An Officer and a Gentleman" and his Oscar nominated role in "The Jagged Edge". Just when you thought he may be somewhat typecast, he turned that on its head taking a comedic turn. You put it all together – his TV and movie work – and he had quite a career. I am glad I got a chance to see a lot of good stuff.